How was emergency broadcasting changed in the last few years? I remember back in the 90’s growing up here in Brisbane that we never had the current level of rolling coverage and multiple warnings. Even during the Supercell storms of 2008. Certainly only ever heard the SEWS since the 2011 floods. What was cyclone coverage like in the tropics in the 80’s? What was cyclone coverage like in the tropics in the 80’s? I don’t know about the 80s but they certainly existed in the 1970s – though probably not to the extent that they are now. There were emergency warnings broadcast before Cyclone Tracy hit Darwin in 1974. Triple M Townsville has now returned to the national feed with Pricey returning at 5am unless something happens overnight. Have been listening to Triple M here in Townsville tonight as this emergency is getting very serious here tonight. The SEWS is being used before every local news update and even before live interviews with the Local Disaster Management Group. This has been evident today with the presenters being utilised. Julie Clift from the Gold Coast presented updates this morning. And after 12pm it’s now gone to Belinda Sanders in Toowoomba. Another great broadcaster contributing to the flood coverage. Sounds a lot better than the obscure choices for the Tas disaster. So the local radio TX out but the RN at the same site still running? Great question. Love to read more thoughts on this. ABC Melbourne and Gippsland doing extended bushier updates this afternoon with Andrew Heslop breaking in to Grandstand on analogue and digital content. Wouldn’t surprise me if they go to rolling coverage as the situation escalates with several emergency warnings issued. 1pm news still national, fires third story in. ABC Gippsland has broken into Libbi Gorr’s shift to provide updates on a number of fires burning across the area. Rural reporter Isabella Pittaway is currently anchoring in Sale. Regular programming is continuing on 3GG, Gold 1242 and TRFM (possibly voice-tracked?) with emergency warning updates during scheduled spot breaks. hit94.3/97.9 is running a local music shift with regular updates. Jon Faine has taken over from Southbank on ABC Melbourne (DAB+/Online due to the cricket) and ABC Gippsland until at least 3pm. David Astle is anchoring coverage on ABC Radio Melbourne and ABC Gippsland until 11pm. Community station Gippsland FM abandoned regular programming late this afternoon and are presenting local coverage. Also worth mentioning that hit Gippsland had CD and mornings announcer Aaron Chilcott presenting a live and local overnight shift Sunday night/Monday morning. I’d say SCA have upped their coverage because they know that they’ll face more scrutiny than smaller operators such as Ace and Kev Blyton. If SCA’s Melbourne stations had sufficiently staffed newsrooms, they could provide updates for 94.3 and give the local staff a rest instead of doing themselves. Interesting you mention ACE and Capital - all three stations continued with their scheduled programming, breaking into their voicetracked or syndicated programs with updates as required. 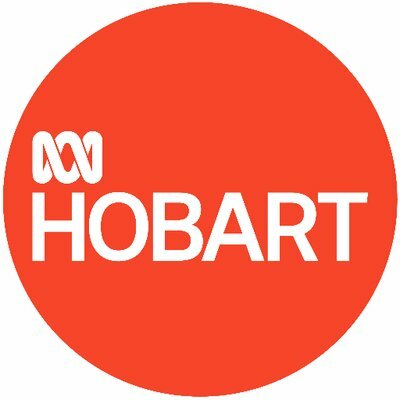 To SCA Gippsland’s credit, they did more than the bare minimum required of them - especially when the ABC bailed out of live programming from Southbank at 11pm. The Vic fires have been intense enough to send smoke haze all the way to Queenstown NZ. Flying at 37000 feet the patches of smoke haze were quite obvious and thick at times. Amazing the weather isn’t it? Hope the radio signals were pushed east to South Island NZ too. Thanks for the update, enjoy your holiday. Hope NZ enjoys our finest exported carbon.